A romantic Cape Escape? Here’s how it’s done. Kayaking under a full moon = great date night. 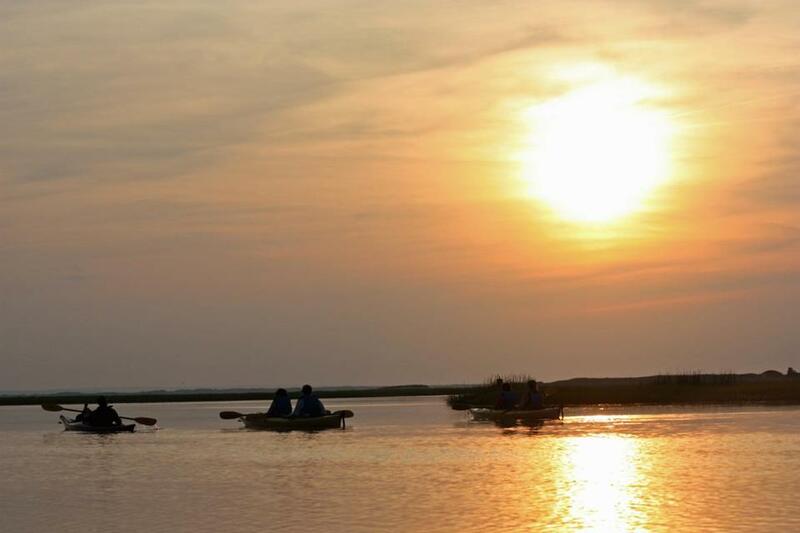 Mass Audubon sponsors guided full moon kayak tours of Sampson’s Island in Cotuit. Pirate museums and potato chip tours have their place, but sometimes, you want a little romance and grown-up fun on your Cape Cod vacay — heck, even a date night. To that end, we queried some Cape locals for their “most romantic” recommendations. “Cape Cod Bay at sunset is incredibly romantic. It’s a popular spot for popping the question,” says Maegan Storey of Chatham. (And she should know; she works with wedding parties at Ocean Edge Resort in Brewster.) Storey gives major props to the lower and outer Cape, “since it’s less-crowded and quieter” than the rest of the Cape. 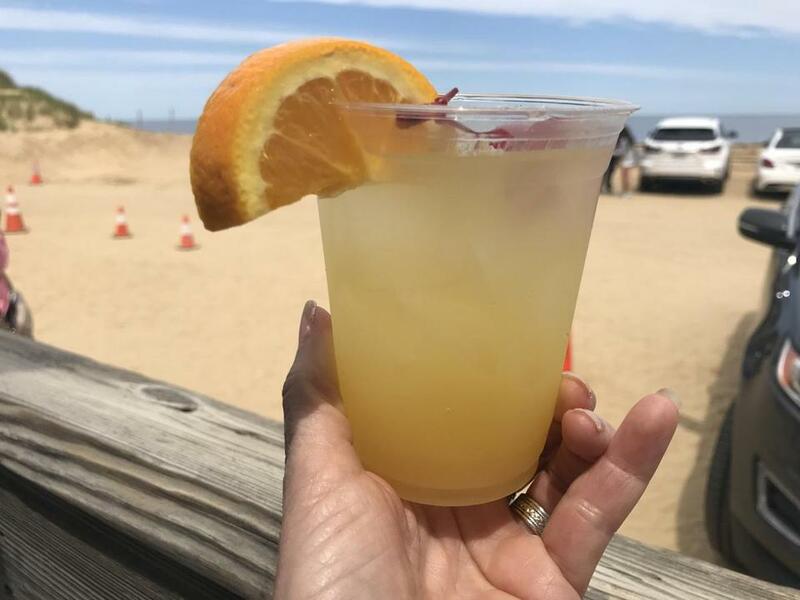 Her favorites include the Beach Bar at Ocean Edge (of course) and a bike ride on the Cape Cod Rail Trail, with a stop at the Beachcomber in Wellfleet, “the sweetest bar on earth to take your significant other!” she raves. Pam Meriam of Centerville finds romance at the other end of the Cape, on a walk through the lush blooms at Heritage Gardens in Sandwich, followed by a ride on the charming carousel and drinks in the cafe. A number of folks mentioned active pursuits like kayaking, hiking, and biking as primo ways to bond with their sweetie. More surprising was the number of times “ice cream” came up. (More than “cocktails,” in fact.) The takeaway message: Whatever romance means to you, you can likely find it on the Cape. So settle in with a Cape Cod Blonde (as in ale) and start planning your romantic rendezvous. There’s no view at C Salt Wine Bar & Grille (www.csaltfalmouth.com) in Falmouth, unless it’s the Instagram-worthy, artfully arranged food on your plate, as executed by chef-owner Jonathan Philips. Opened in 2013, C Salt has become a go-to for Cape Cod foodies, thanks to dishes like Chicken Chow Fun ($26) and pork belly bites ($13), an addictive starter. And there’s this: The wine list has been deemed “brilliant” and the best on the Cape. Paddling under a full moon — now that’s what we call a date night. No worries about transporting a boat to the Cape; join Mass Audubon’s Long Pasture Wildlife Sanctuary (www.massaudubon.org) for a full moon kayak tour and exploration of Sampson’s Island in Cotuit for what they call a “luxurious sensory experience.” (The next one is on July 27; $50 members; $55 nonmembers.) Prior kayaking experience is required for this, and you’ve got to be older than 12, so you won’t have a bunch of kiddies splashing around. They also offer (achingly romantic) sunset tours. Have a drink at the outdoor bar at the Beachcomber, a place that defines barefoot romance. Nothing says “adult fun” like a vineyard visit. Family-owned South Hollow Spirits + Truro Vineyards (www.southhollowspirits.com; www.trurovineyardsofcapecod.com) in Truro has become a favorite spot to unwind (if only from a day at the beach) with a glass of wine or a summery cocktail featuring South Hollow’s Twenty Boat Rum or Dry Line Gin. The sprawling lawn is bedecked with Adirondack chairs, perfect for kicking back with a beverage and a lobster roll from the onsite food truck with fare from Truro’s Blackfish Restaurant. Local music and daily wine and spirits tastings add to the lively vibe. And if you’ve left your pint-size hell-raisers home, it’s the perfect time to check out places like Sandwich Glass Museum (www.sandwichglassmuseum.org), currently featuring a solo exhibition by artist Christopher Belleau, and the wonderful galleries of Provincetown (www.ptownchamber.com). A good rainy-day activity with your significant other: antiquing. If you’re into olde things, there’s antiquing galore, at multidealer spots like the Antiques Center of Cape Cod on Route 6A in Dennis. If we had to pick just one shop to hit, it would be Yak Arts in Orleans (www.yakarts.com). 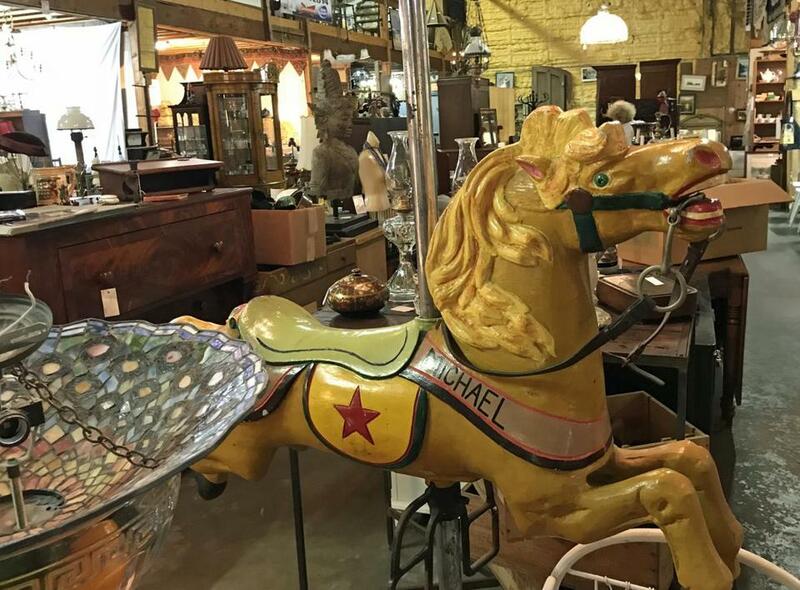 No boring brown furniture here, just 3,000 square feet of cool, hand-picked items — masks, jewelry, sculpture, you-name-it — way better souvenirs than an “I heart Cape Cod” T-shirt. If the phrase “cozy inn” rings your romantic chimes, consider the Chatham Inn at 359 Main (www.359main.com; from $459.) TripAdvisor named this 18-room property “the most romantic hotel in Massachusetts.” It’s chic, not frou-frou, with white duvets, rugs by Serena & Lily, and Frette towels, bathrobes, and slippers. Lighthouse Beach is a stroll away, and a stay includes the Chef’s Grand Breakfast on the patio in summer. The menu features an enticing array, from crab cakes to avocado toast.